Situated at the edge of the Front Range of the spectacular Rocky Mountains, the Relâche Spa at Gaylord Rockies in Aurora is a sanctuary from. The hotel’s rustic charm is reflected in beautifully appointed rooms and suites featuring luxury bedding, high-speed Wi-Fi and exceptional attention to detail. And Gaylord Rockies’ relaxed cabin-style ambience boast picture-perfect views of the nearby mountains, inviting you to experience Gaylord’s indoor and outdoors water complexes and adventures in the great outdoors. During your stay, be sure to schedule an escape to the luxurious Relâche Spa. Dedicated to your relaxation and rejuvenation, Relâche features an enticing menu of sumptuous spa and salon treatments and services, along with indoor and outdoor pools and whirlpools, the Relâche Fitness Center, the Arapahoe Springs Lazy River –and all the time you need to restore your mind and body. And when it’s time to dine or relax with a beverage, choose from eight enticing options, including inspired Italian cuisine at Vista Montagne, the casual Mountain Pass Sports Bar and the Old Hickory Steakhouse. 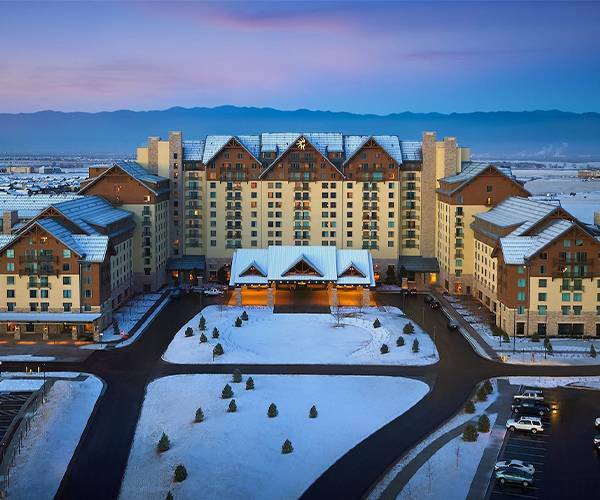 Just 6.3 miles from Denver International Airport, Relâche Spa at Gaylord Rockies is conveniently located near local attractions and entertainment, shopping and outdoors experiences, including skiing golf, hiking, river rafting and kayaking. Body scrubs, body wraps, massages for every taste, eye and lip treatments, facials, mani-pedis, hair and scalp treatments, makeup services, waxing: Relâche Spa & Salon at the Gaylord Rockies Resort offers a tempting list of sumptuous spa services. Talented and experienced therapists and beauty experts will soothe your mind, body and soul in this luxurious atmosphere and pamper you to never-ending bliss. Spa guests also have access to a variety of amenities, including the Relâche Fitness Center, indoor and outdoor pools and whirlpools and the Arapahoe Springs Lazy River, which is open May to September. If you are planning a group event, Relâche Spa offers special programs for business and convention groups. Choose from mini-services, like chair massages, group fitness activities, customized wellness workshop and networking spa events. Relâche is also known for its bridal and wedding party services, from bachelorette parties and showers to customized wedding day experiences for the bridal party. Gaylord Rockies Resort & Convention Center boats a suite of onsite activities and amenities, including the luxurious Relâche Spa & Salon, indoor and outdoor pools and more. And you’ll find countless nearby activities and attractions, from museums, shops and entertainment and dining venues to skiing and kayaking. You can also easily explore a vast world of state and national parks where you can reconnect with the wonders of nature. Whether you are in the mood for gourmet dining, a quick bite or coffee or socializing over a cool beverage, Gaylord Rockies offers dining options for every taste. 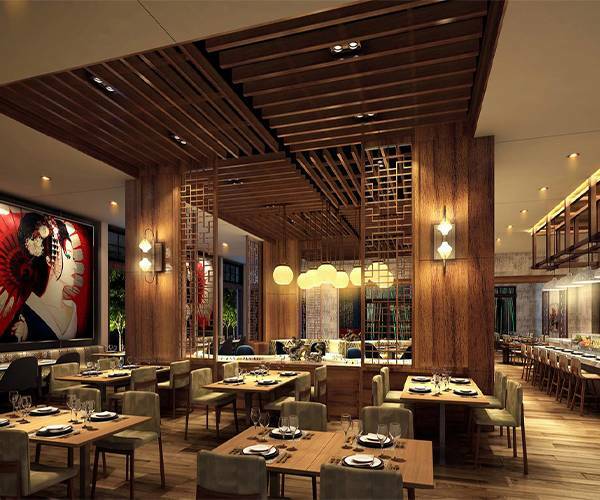 The hotel features eight venues, from Italian at Vista Montagne to casual fare at the Mountain Pass Sports Bar to the romantic Old Hickory Steakhouse and Asian Inspired cuisine at Monte Jade. You can also enjoy local craft beers, cocktails and wines at Pinyons or poolside at the Arapahoe Springs Bar & Grill.